We earn the right to be called Virtu every day. There is no benchmark for best in wide plank floors, so we decided to set one. That’s why we named our company Virtu. Our flooring is custom manufactured, with hand-selected faces from wood sustainably grown in the most prized forests in North America and throughout the world. Then we improve upon what nature created with a proprietary process called True Balanced Construction, the most stable and durable wood flooring design available. Simply put, True Balanced Construction allows the natural forces in the wood to be in balance which, in turn, minimizes cupping and shrinkage. Even as houses and buildings settle, Virtu Wood Flooring remains stable and develops a patina as rich and warm as any fine piece of furniture. Beauty that endures. It’s what makes Virtu the finest wide plank floors made in America. 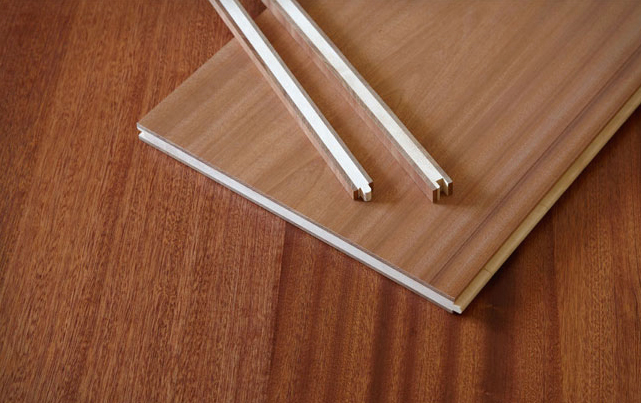 The reasons for choosing Virtu Wide Plank Floors just got a little wider. We launched our 3-layer wood flooring in 2009 with the belief that custom-crafted wide plank floors enhanced by True Balanced Construction would result in a product of incomparable stability, reduced movement and everlasting beauty. Virtu 3-layer True Balanced Construction is the ultimate expression of the floor maker’s craft. Today, with the introduction of Virtu 2-layer, another benchmark has been set. Engineered to the same exacting standards of our three-layer flooring, Virtu 2-layer is custom crafted to be the finest wood-on-plywood floor made in America. Whether you choose the iconic beauty of the 3-layer, or the beautifully practical 2-layer, by choosing Virtu, you’re investing in the future of wood flooring now and for years to come. Engineered for longevity, set apart by stability, environmentally friendly and custom crafted by skilled Americans workers, the only question remaining is which Virtu is right for you? To have a floor of this quality made in this country, with availability measured in days and weeks instead of months – this is a huge step forward.